When considering the mysteries of what attracts the ultimate buyer, few will deny that “curb-appeal” is a sort of magic bullet. The term is a buzz word for the enticing image of your home as seen from the street, and is similar to the adage of “judging a book by its cover.” Buyers who rely upon this might overlook a treasure in the rough, but savvy sellers know curb appeal is a key tool to finding a buyer more quickly. Curb appeal is key when buyers are looking through multiple listings, getting a feel for neighborhoods from the comfort of their cars — just “driving by.” Often, buyers will look at advertisements and listings online or in print, and if they are local will take a peek on their way home from work. Because of the power of this “curb view,” often the primary photographs used in advertisements and listings are from this angle. Money spent in improving this viewing angle is among the smartest investment. Simply put, painting and pruning trees and shrubbery can transform a home, helping to shed light on its features. Other aspects of the approach to a home can be equally enticing and help to pave the way for a successful interior viewing. After all, when care is taken to the outside of a home, people feel that the interior will also have what they are looking for. Driveways and walkways that are well maintained and artfully presented greet potential buyers as soon as they step out of their vehicles. Trees and shrubs that lose their leaves can create slick areas on driveways and walkways and be unattractive if allowed to affect landscaping and lawns. Ensure that you consider this when selecting trees to plant near driveways, and keep leaves in check during fall viewings. During the winter, when snow and ice might prove to be a problem, it is essential to maintain driveways and walkways carefully. This is not only for safety, but it illustrates the type of person who has owned and maintained the house itself. One helpful exercise is to take time to view a home with curb-appeal in mind. At each juncture where a potential buyer might approach and view your home or property, stop and look around. Notice details. Take photographs. Look straight ahead, to the right and left, and even at the ground. If there are appealing features, play those up. If there are issues that block the enjoyment of the home, you can choose to address them. In each instance, seek to frame the view of the home or property in an appealing light, tending to the ground under foot, the areas close to the viewer, and that which they see. The Results of curb-appeal come when assessing views from inside the home and at various places on the property. All views are important because they are attention-getting elements of the property you are selling. Views are memorable, and a bad one can deter potential buyers. Whenever possible, seek to create eye-catching points around the home. If certain views are less than desirable, seek to minimize, distract, or even block those views. If you can remove the offensive elements, do so, but whenever possible, contain them, screen them or otherwise affect a change. Additionally, certain areas in homes have an element of “approach” to them. You control all the views inside the home, so assess each one carefully. The foyer or entryway has its own view into the home and serves as a curb of its own, or a launching pad, so to speak. As a viewer enters the home, moves to the living room, kitchen, master bedroom, or backyard, each transition creates an impression and should be considered a “view.” Try walking through the home and noting the approaches so that you can begin to create views within the home that offer the best feelings and highlight the home’s strengths. Make sure lighting, furniture, and clutter are all under control so that impressions are good every step of the way. Ensure that the yard and landscaping is neat, tidy, and well-maintained. Seek to flatter the home first, then to show off your gardening skills. Freshly pruned vegetation illustrates careful stewardship. 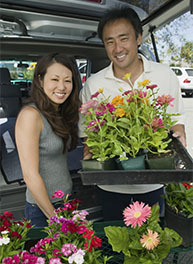 If flowering plants are past their prime, trim them back and add in some seasonal plants for color. Re-edge and add mulch to existing beds. Plants in containers may be easily changed out or positioned where they are most needed, and if you invest in nice pots, you can take them with you. Control growth of large trees to optimize light and safety of the home and surrounding buildings and property. Remove debris under trees daily, if needed. Pay close attention to the front door and garage doors, including paint or stain condition and color, hardware and details – these doors command a lot of attention. Consider adding seasonal decorations like a wreath or potted plants near the door, but keep these tasteful and few – don’t distract from the house itself. 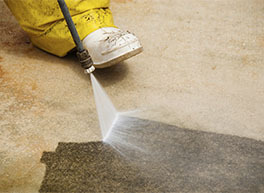 Clean steps, ensuring that they are free of scratches, chips, moss or signs of wear. Repair or upgrade handrails when appropriate. A new Welcome Mat at the door will not only make a statement, it is also an invitation for viewers to wipe their feet as they enter the home. Investing in new and unique numbers for your home not only makes it easy to identify, but can set it apart with flare. 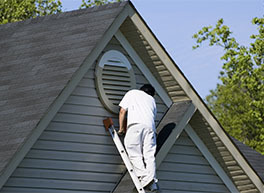 Pressure wash the exterior of your home and ensure the gutters and roof are clean. Assess and improve the driveway and any walkways to and around the home. Upgrade lighting by doors and pathways. Providing safe and stylish lighting will make your home stand out in viewings throughout the day and evening. Upgrade your mailbox. Creating a secure and attractive mail receptacle is akin to having a plush welcome mat at the end of your driveway or by your door. Ensure that windows and screens are clean and well-maintained. Viewers from both the inside and outside of the home rely on being able to see through them. Shutters and screens should be in top shape. Easy-to-install PVC trim neatens and dresses up older windows and doors. Drapes and shades should be clean and in good working order. Familiarize yourself with views from decks and various rooms, and improve those views when possible. Decks can be used year-round in many places. Spruce up your deck, porch or patio and show what an inviting space it can be to potential buyers.